Are BlackBerry lovers living in the past, or do they just know what they want? Update: A BlackBerry spokesperson confirmed with TechRadar that the company has yet to make any official announcements regarding the BlackBerry Classic's release date, and she was unable to confirm Chen's claim that it will be out in December. That said, he would probably know, so we're going to bet on a December release date until we know better. The BlackBerry Classic is meant to be BlackBerry's return to form, a smartphone with several of the features that BB diehards miss from old handsets. And it's going to launch this December, BlackBerry CEO John Chen let slip during a presentation at the MIT Enterprise Forum in Hong Kong this week. Chen mentioned that BlackBerry's BES12 enterprise service will launch November 13, followed by the BB Classic "a month later." We asked BlackBerry to confirm the Classic will be released in mid-December, but while we wait for their response you can watch Chen say as much in the video below around the 1:05 mark. BlackBerry's Classic is an attempt to re-woo business users who don't want to give up physical keyboards and navigation buttons. "Innovation is not about blowing up what works to make something new - it's about taking what works and making it better," Chen wrote in a recent letter aimed at former and current BlackBerry users. He added that BB's current philosophy hinges on the adage, "if it ain't broke, don't fix it." 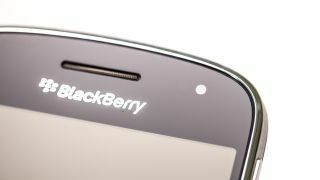 Sign up at BlackBerry.com to receive official announcements as they happen. Or, better yet, keep checking in with TechRadar for the latest. Will the Classic hold a candle to the iPhone 6?